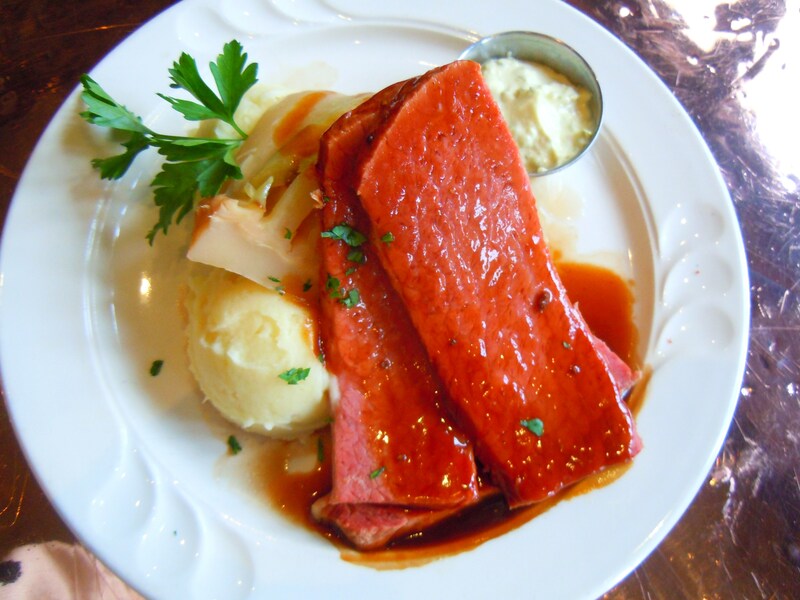 Irish Delights for St. Patrick’s Day – Corned Beef & Gravy with Cabbage & Mashed Potatoes at P.J. O’Brien! Anyone who knows me well knows I’m a sucker for all holidays and celebratory occasions. And I mean all. Not just the “big” ones like Valentine’s, Easter, Christmas, and Thanksgiving but also maple syrup season (which just happens to be going on right now! 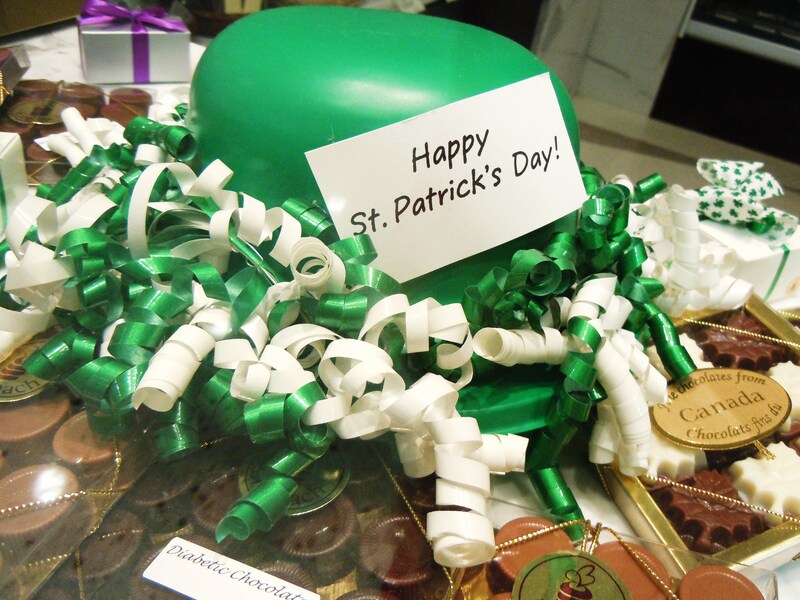 ), cherry blossom season, harvest and apple season and let’s not forget, St. Patrick’s Day tomorrow! Ever since I started Ate by Ate, I’ve had my heart set on doing themed posts for all of them but given time constraints and bad weather, sometimes it feels almost impossible to do posts for everything. So I decided to change my approach. Instead of waiting until the last minute to get photos and stories, I would just do them early, if I could. Does it mean I might miss out on being right in the thick of the moment? Sure. But I would rather have something to show for it than nothing at all. I’m always so disappointed when I don’t get to celebrate on the blog because I waited until the week or weekend of and things just happen to fall through. So this time around, I had my Irish food for St. Patrick’s Day early. Very early. 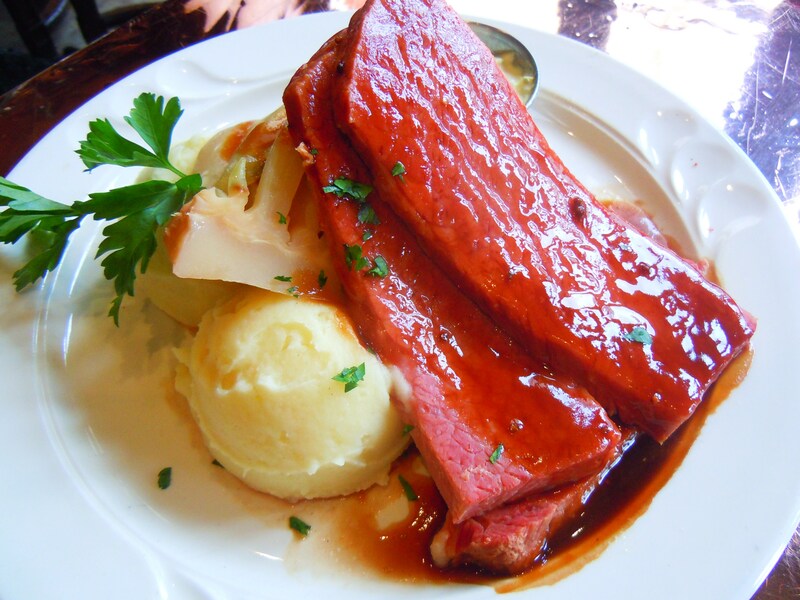 In fact, I had my incredibly delicious St. Patrick’s Day meal over a month ago! And it’s here and hot off the press. 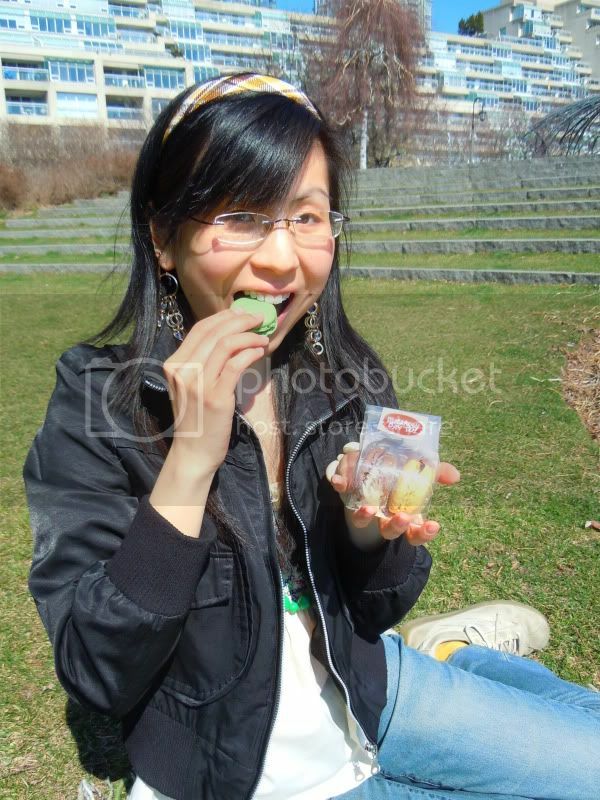 Well, the photos and story anyway, not the food. True, I wasn’t surrounded by happy partygoers clad in green apparel but the nice thing about this is that going to an Irish pub and restaurant means that we can kind of celebrate life with Irish food whenever we want. And I just happened to celebrate over a month early at P.J. 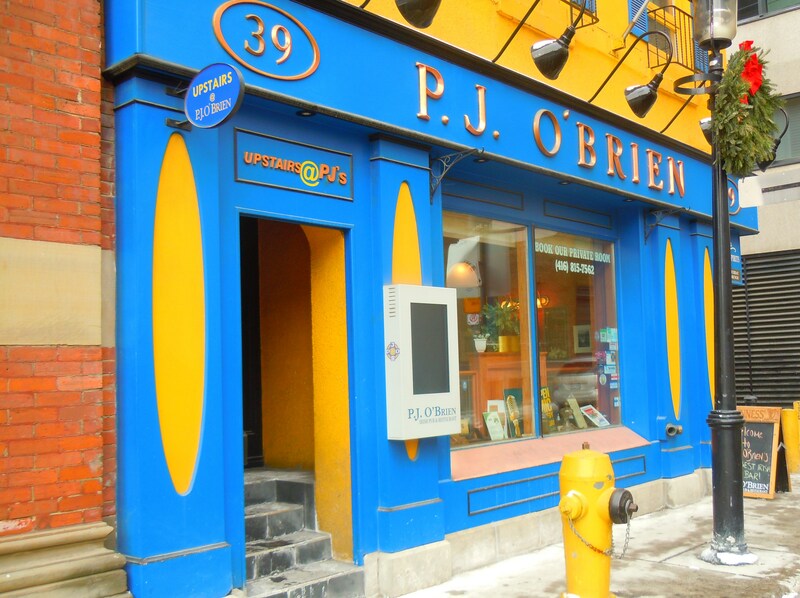 O’Brien in downtown Toronto. I remember the day so well. It was one of the coldest, dreariest, grayest days this winter but for whatever reason, the bite in the air eased up a little bit right around lunch hour when I hurriedly scurried out onto Colborne St. just southwest of King and Church to take photos outside. The building that P.J. O’Brien resides in would brighten even the darkest, gloomiest of days. It has to be one of my favourite buildings in the city. 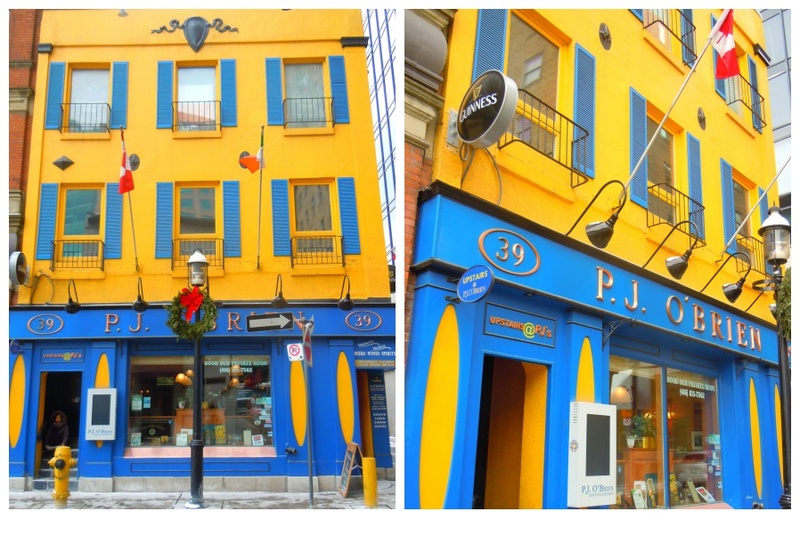 Nestled between the towering structures in the financial district and the historic ones of old town Toronto sits a three-storey building as bright and cheerful and charming as a Lego house. Equipped with bright blue window shutters and painted sunny golden yellow, P.J. 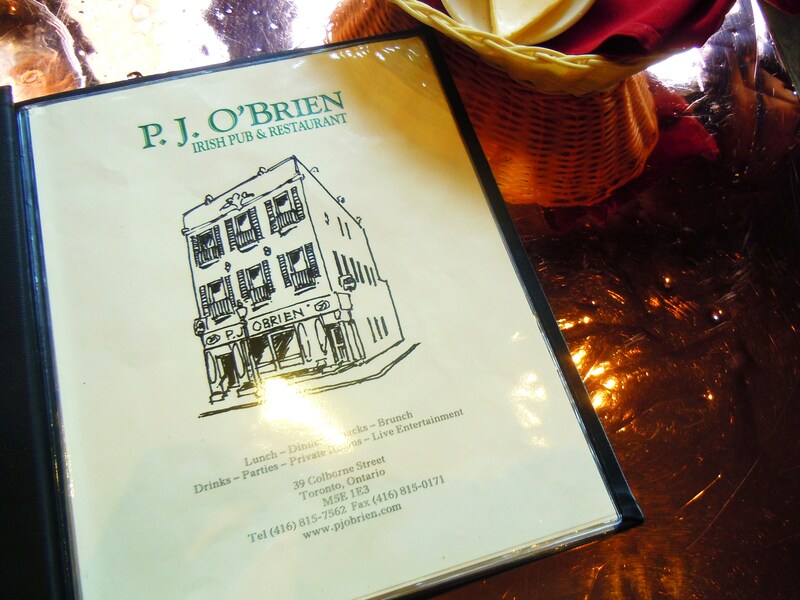 O’Brien is a beacon of culinary happiness. Their dining room and bar areas are simultaneously cozy and spacious with plenty of space for large groups and intimate get-togethers. 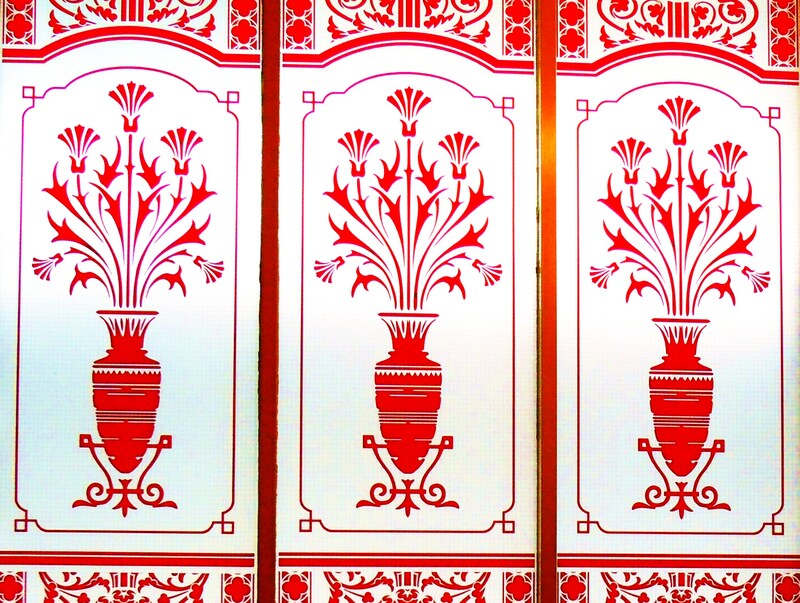 I love the tables by the front windows. Perfect for taking in the large dining room and bar around you and for taking photos with natural light! Open 6 days a week from Monday to Saturday from 11am to the wee hours of the morning (1am from Monday to Friday and 2am on Saturday), P.J. 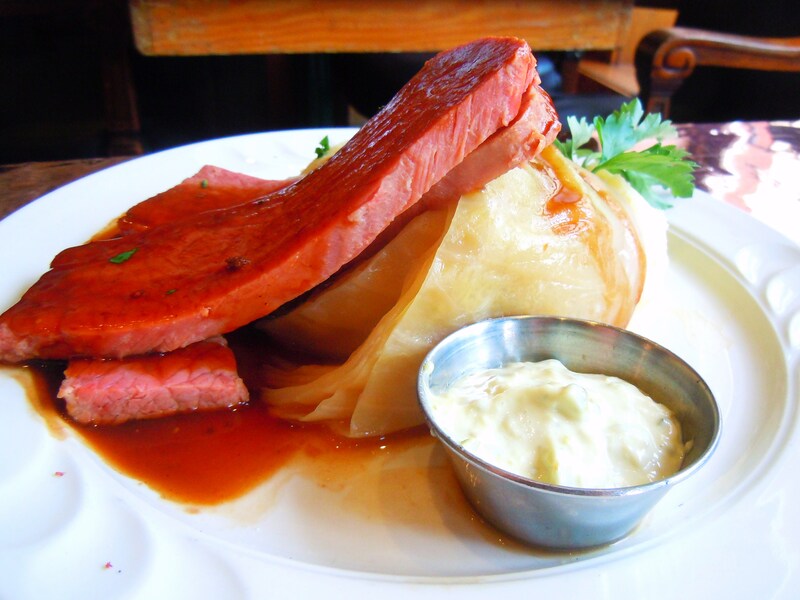 O’Brien delivers a mix of comfort food, pub fare and Irish classics with flair including Kilkenny Ale fish and chips, shepherd’s pie, beef and Guinness stew, sausage and chips, and my pick: corned beef and cabbage! I had the hardest time choosing between the beef and Guinness stew, sausage and chips, and the corned beef and cabbage. All of them sounded delicious, all of them screamed warmth and comfort and Irish goodness but with only one stomach, I could only choose one. Sigh. So after much deliberation, I chose the corned beef and cabbage ($15): a wedge of freshly steamed cabbage alongside two giant scoops of creamy mashed potatoes with sprigs of fresh flat leaf parsley and three moist and juicy pieces of corned beef smothered in rich brown gravy sauce, with an extra side of tartar sauce that I specifically ordered to go with my meal because I am a crazy nut for tartar sauce! This meal is everything comfort food should be and really, the closest I’ve ever been to Ireland’s food in my life. It was piping hot and SO. INCREDIBLY. DELICIOUS. I loved it so much not only because it scrumptious but because it’s something I don’t have all the time. Or ever, really. I eat mashed potatoes and deli corned beef (or breakfast hash) and the occasional bite of cabbage, but never all together and certainly never in such a yummy capacity. The mashed potatoes were fluffy and airy (not gluey! 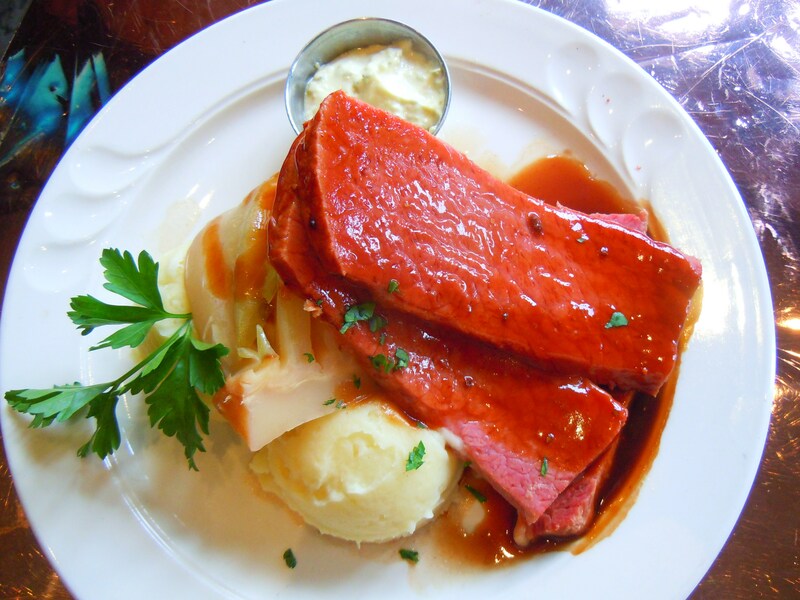 ), the cabbage was tender yet crisp (and without the strong tang of bitterness that usually makes me shy away from cabbage) and the corned beef was melt-in-your-mouth soft. It wasn’t difficult to bite into or cut through at all and its savouriness was perfect; not too salty but far from bland. Even without the sauce I would have loved it and I really appreciated the thickness of it (imagine the thickness of luncheon meat slices. Or just look at the photos) and having it in three pieces as opposed to one giant overwhelming slab. It made it easier to eat and made for a lovely presentation. And if you can believe it, it gets better. My meal came with a basket of bread and butter and by golly that bread and butter was some of the best bread and butter I’ve ever had. I know. It’s only bread and butter. But think about it, even something as simple as bread and butter can go horribly awry (or rye…haha). 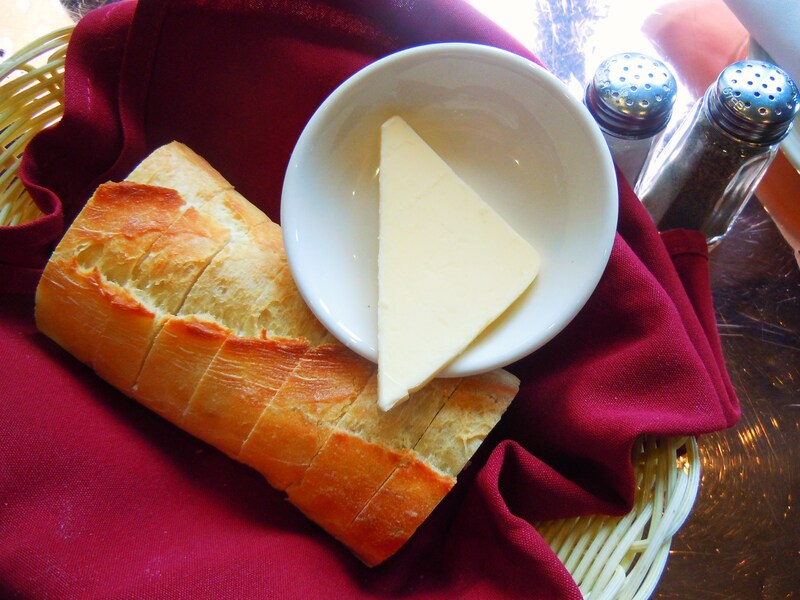 The bread can be too hard or too dry and the butter can be too difficult to spread. But theirs was so good I was tempted to eat the entire thing all by myself in one sitting but I had enough sense just to eat a few pieces and save the rest for my doggy bag along with a piece of corned beef and some cabbage. I’m a hungry girl but I’m not known for being the queen of the doggy bag (or tupperware) for nothing. I’m so happy I got to enjoy my ‘St. Patrick’s Day’ meal when I did and I hope that if you’re in around the downtown core tomorrow that you’ll stop by P.J. O’Brien for a bite to celebrate the great food and actual festivities. You’ll be glad you did. 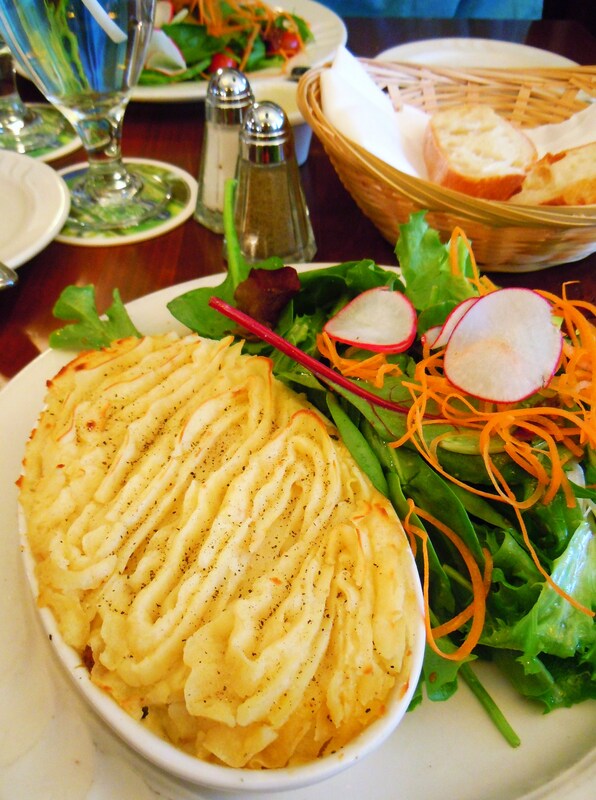 Top O’ The Mornin’ To Ya – St. Patrick’s Day and Shepherd’s Pie at the Irish Embassy Pub & Grill! Happy St. Patrick’s Day, everyone! I know this post is coming very late in the day but I hope everyone’s day was filled with fun Irish festivities, food, and – if you enjoy getting a little happy and tipsy – beer! 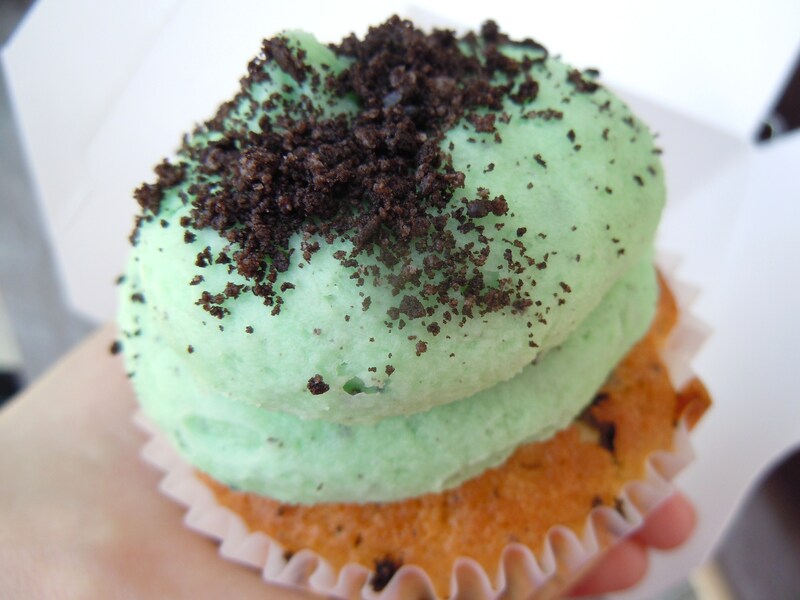 There were so many food celebrations going on all over the city in different pockets of town and although I’m a little disappointed that I wasn’t able to treat you all to an entire week of St. Patrick’s Day goodies, having one post is better than not having any at all. Just so we can keep these ideas and events in mind for next year (because we all know we’ll be in the mood to celebrate! 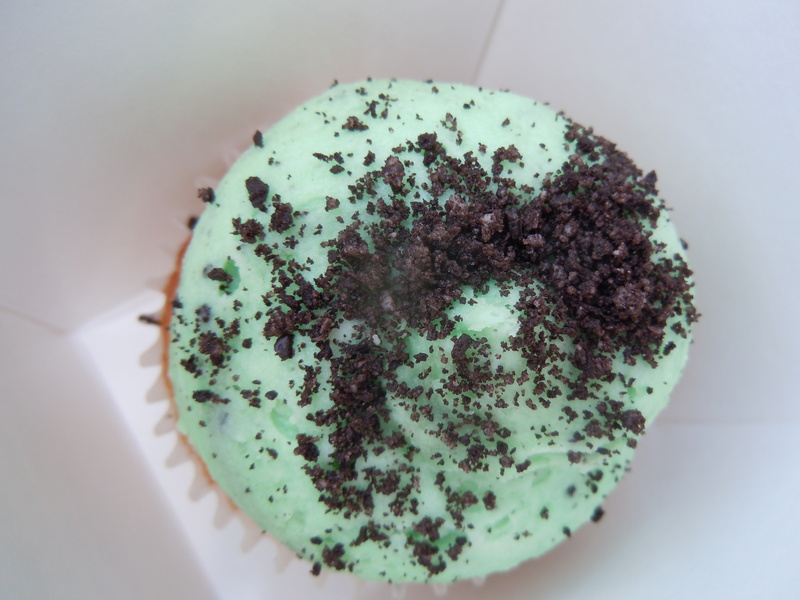 ), Short & Sweet Cupcakes and Prairie Girl Bakery had special St. Patrick’s Day cupcakes during the week, Sadie’s Diner had a special St. Patrick’s Day shamrock shake smoothie, and the St. Lawrence Market celebrated the green holiday with a happy-go-lucky market party! 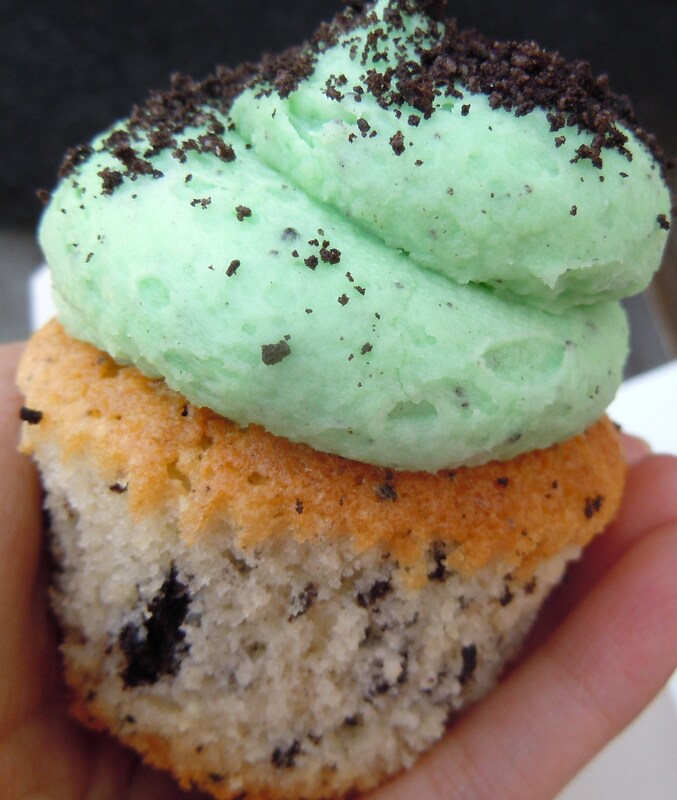 In addition to their March Flavours of the Month (their mint Oreo Mint Everest cupcake and their Irish cream and tres leche Pierce Brosnan one) Short & Sweet had a special “green velvet” cream cheese cupcake adorned with a lucky green clover and Prairie Girl was dishing out Irish cream cupcakes on their luscious dark cocoa cakes. After doing a truckload of food research for St. Patrick’s Day last year, I jumped on the chance to grab a few Groupon vouchers when they offered a deal for the Irish Embassy Pub & Grill, located at the corner of Yonge and Wellington St. I was covering my tooshie to make sure I would have a special St. Patrick’s Day post for the blog this year even if I couldn’t make it out to any of the other Irish pubs or restaurants. Sadly, I didn’t get around to having my Irish breakfast fry weekend brunch this year (again), but I did have some very delicious Irish lamb shepherd’s pie to boot! 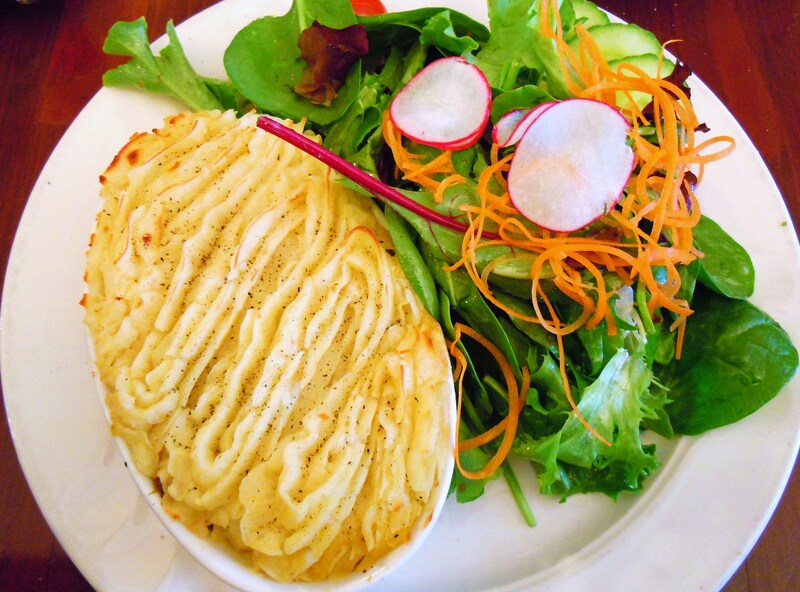 Situated in a lovely historic building in the hubbub of downtown Toronto, Irish Embassy Pub & Grill serves a menu that boasts pub classics and hearty Irish meals. Thanks to dear friend Breige in Ireland, she coached me and taught everything there was to know about Irish food and cuisine so I was prepared to tease out the pub favourites from the authentic Irish eats! 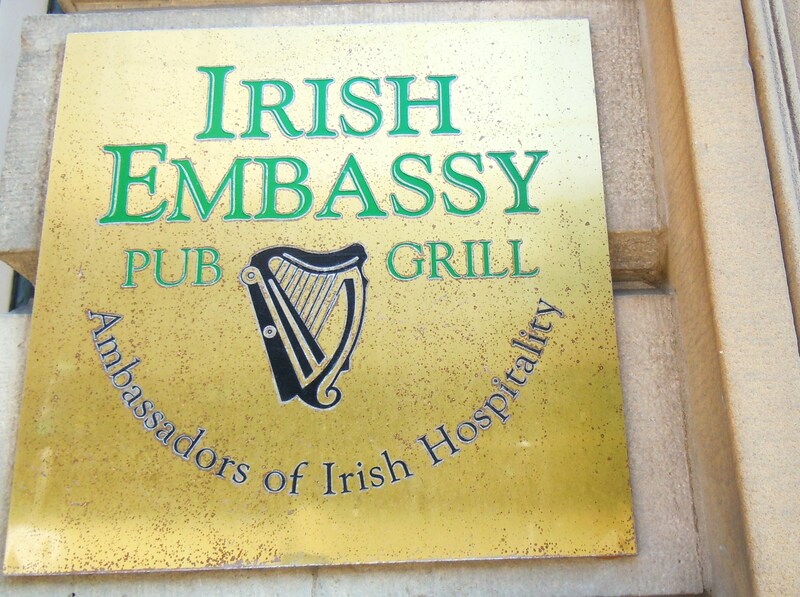 Aside from the Irish Embassy’s Irish breakfast fry that they serve on the weekends, they serve several dishes that are particularly traditional in their main lunch and dinner menu including a soda bread appetizer, a traditional Irish lamb stew with root vegetables, and a lamb shepherd’s pie. 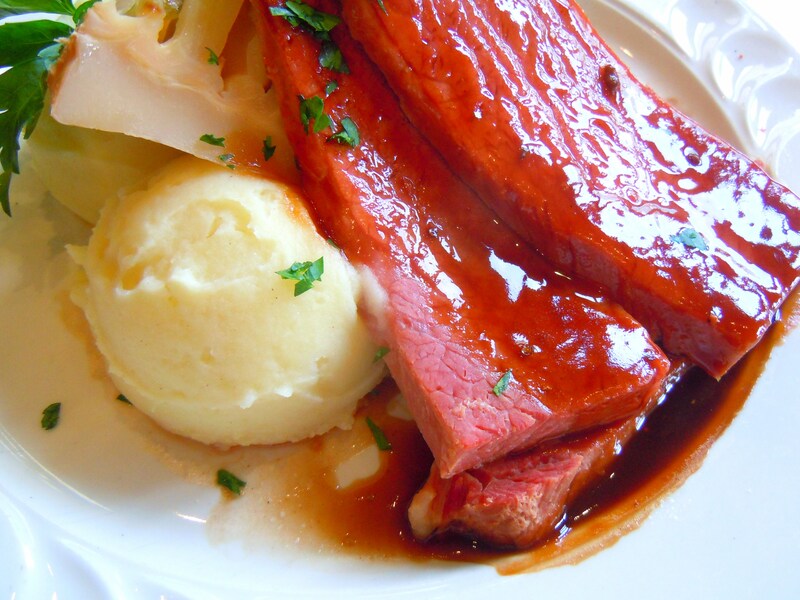 And no Irish menu would be complete with a few meals made with Irish beer and ale! Among these dishes are the Guiness pulled pork sandwich, the Guiness braised beef short ribs, and the Kilkenny battered fish and chips. 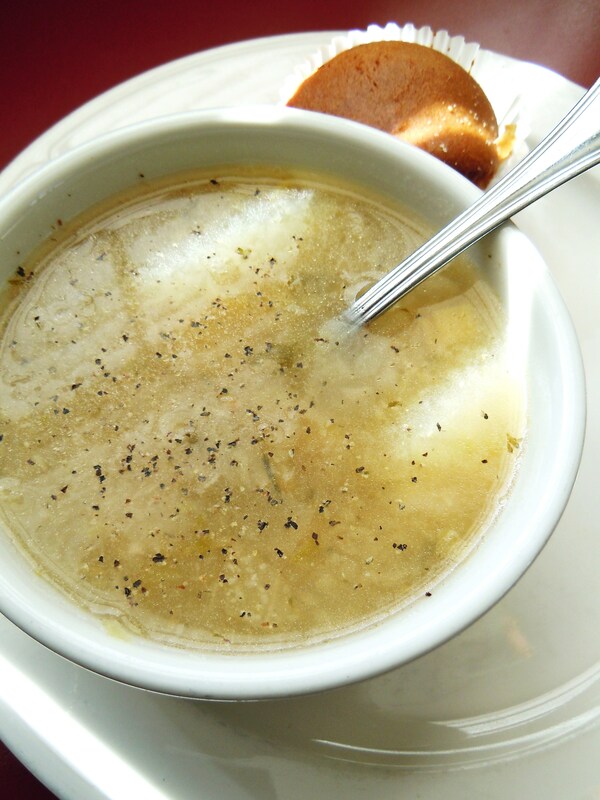 The menu is divided into three sections with one devoted to appetizers, one to sandwiches, and the last to mains, along with a separate page with a list of lunch specials. The pricing isn’t for the faint of heart though! Had I not had my Groupon, I would have hestiated coming here just because it’s a little out my budget range for lunch. Based on this first visit I thought the food was wonderful, but if you need to put things in perspective, the pricing doesn’t differ between lunch and dinner menus. 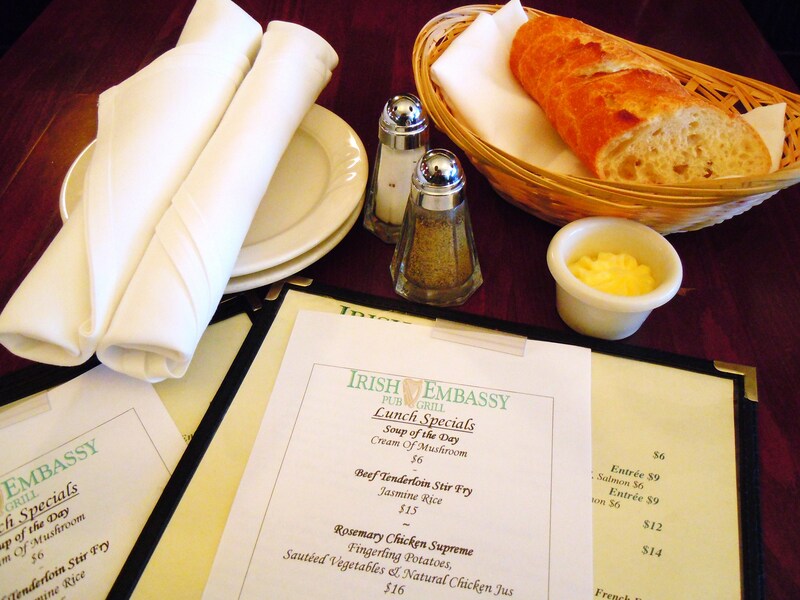 The dinner menu offers a larger selection of appetizers (which sound mouthwateringly scumptious), a larger selection of traditional Irish meals within that portion of the menu, less sandwiches, and the same selection of mains. Therefore, if you want to get your money’s worth, I’d go for dinner as opposed to lunch because you definitely have to be prepared to pay $15-$20 for your meal either way. After debating between the Irish lamb stew ($17) and the lamb shepherd’s pie ($16), I caved and had the shepherd’s pie because the thought of creamy whipped mashed potatoes over a pot pie was making me salivate. That, and because I saw four other patrons around me noshing on said shepherd’s pie. FOUR! Nothing like a little visual temptation to make my decision for me, no? I’m no fool – I know good food when I see it. And my was this shepherd’s pie ever delicious. After having the shepherd’s pie meal, I understood wholeheartedly why it was such a popular menu item. The pie was served in a white cermaic baking dish with a side of mixed green salad with sliced radishes and cucumers and shredded carrots tossed with some of the yummiest olive oil and vinegar dressing I have ever had. 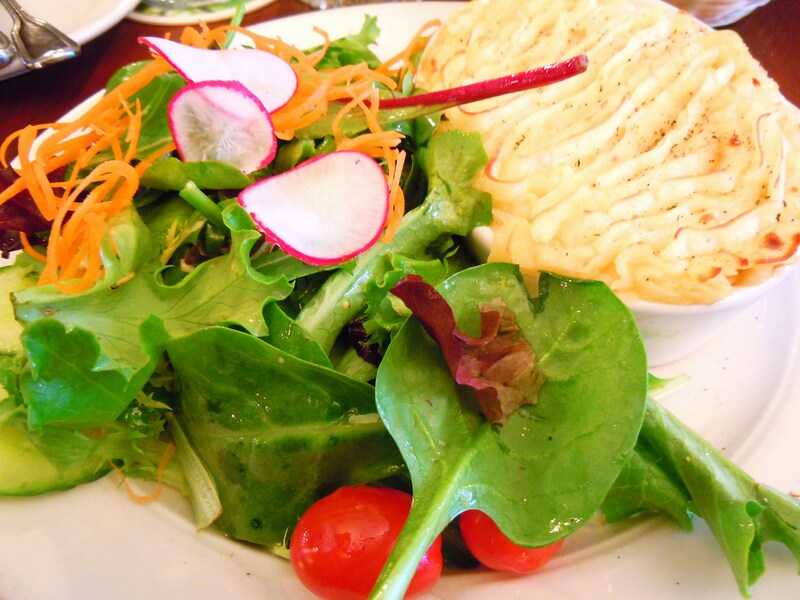 You wouldn’t think a side salad would play such a starring role but it did and it was fabulous. 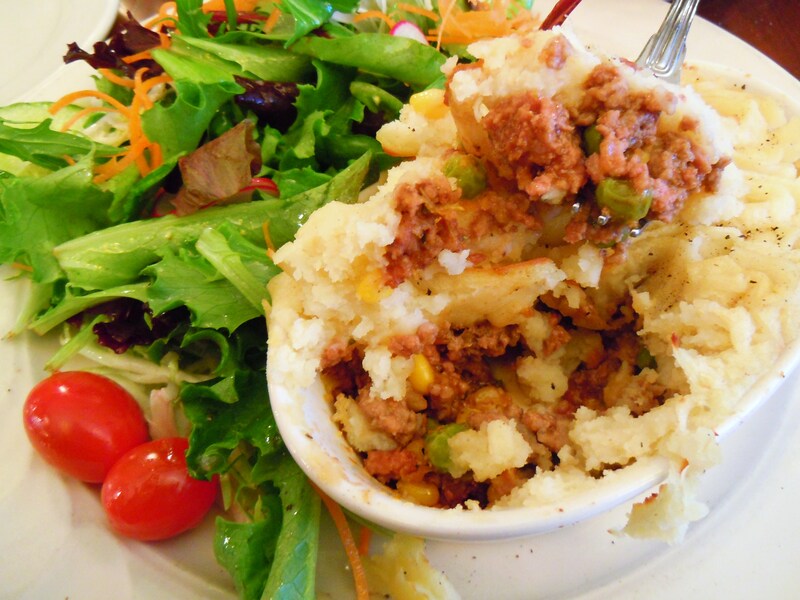 The shepherd’s pie was made with ground lamb, carrots, peas, and corn with a smooth, whipped layer of garlic mashed potatoes that was beautifully piped on top. 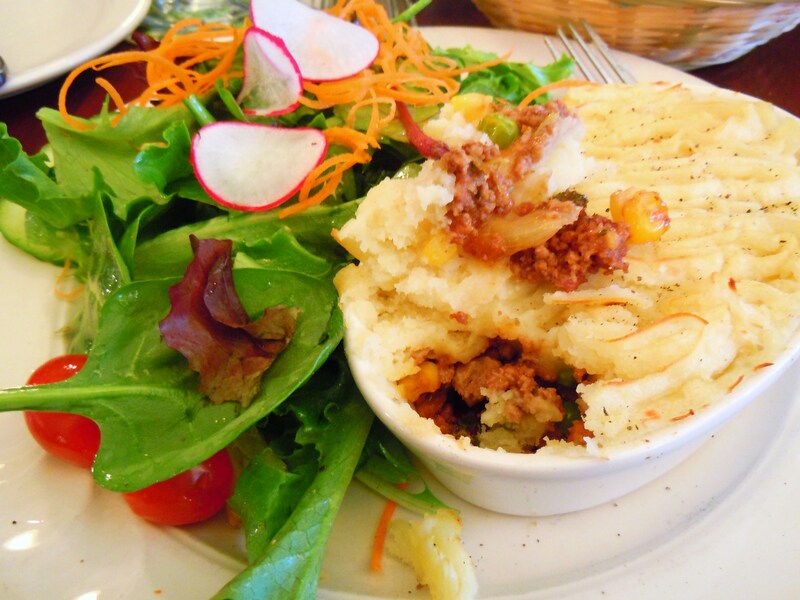 The ground lamb and vegetables were tender, the mashed potatoes were airy and soft, and the best thing about the shepherd’s pie was the flavour and seasoning. It wasn’t overly salted or seasoned and the ground lamb wasn’t dry or gamey in the least. The meal is terrific comfort food and a real winner if you’re looking to have something Irish in town. Even though Breige swears up and down that Ireland, as a nation, isn’t necessarily celebrated for its food, I was fascinated by all the food traditions and meals she was telling me about and I can’t wait to explore the Irish food scene right in own home in Toronto. If the rest of the scene is just as delicious as my shepherd’s pie was, it’s going to be one very delightful expedition. 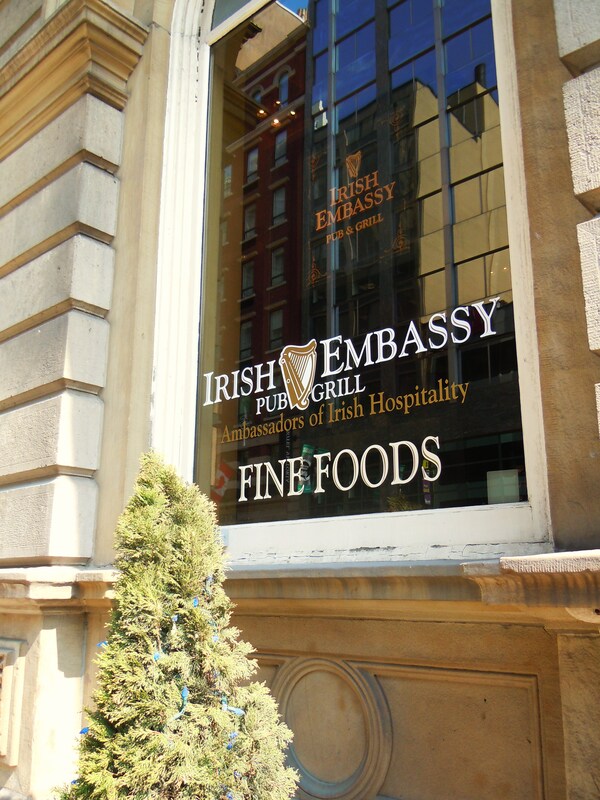 Irish Embassy Pub & Grill is located at 49 Yonge Street in downtown Toronto at corner of Yonge and Wellington Street East. 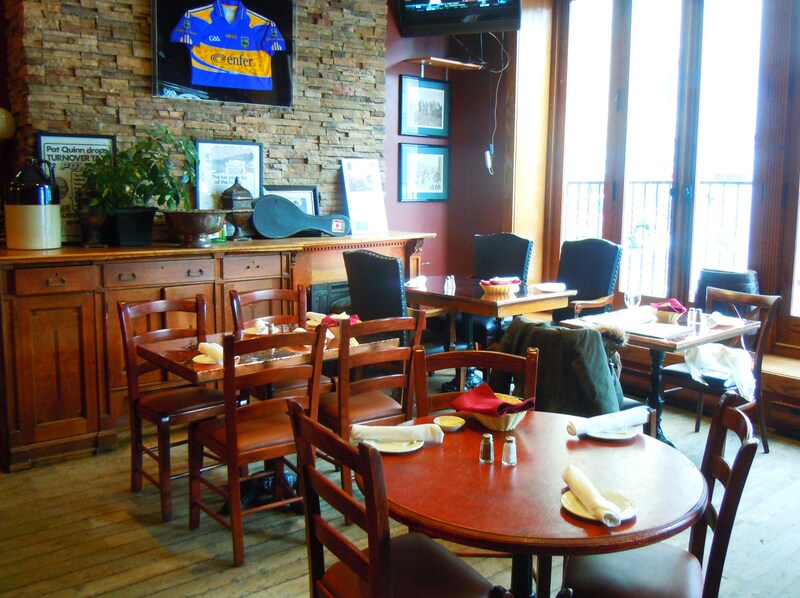 The pub is is open for both lunch and dinner during the week and serves Irish brunch during the weekend. I was so crushed that I didn’t get to do the fun St. Patty’s day things I wanted to do, but as luck would have it, The Grad Lounge totally came through for me on Thursday with an Irish-inspired menu!! Oh gosh, I was so ecstatic! 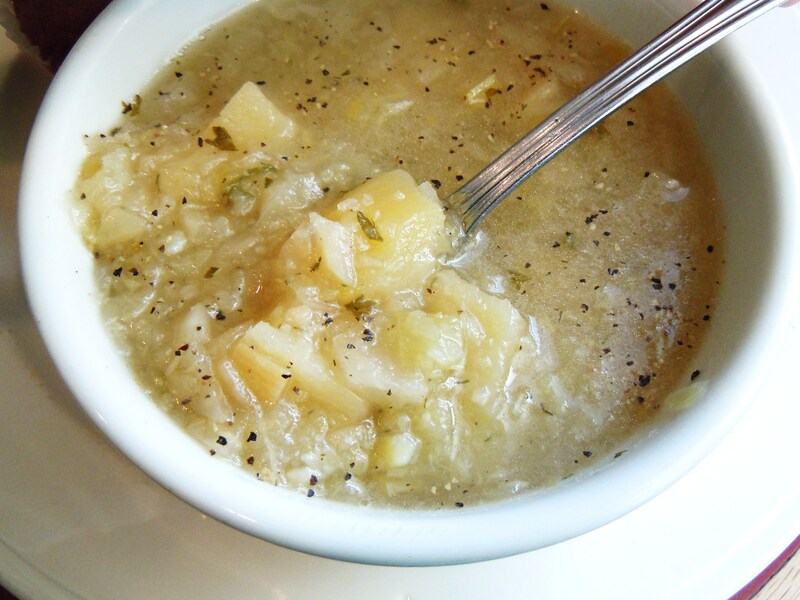 Think lamb stew, corn beef, and what I ordered: potato and cabbage soup! So I did end up having something Irish that day it made me real happy. 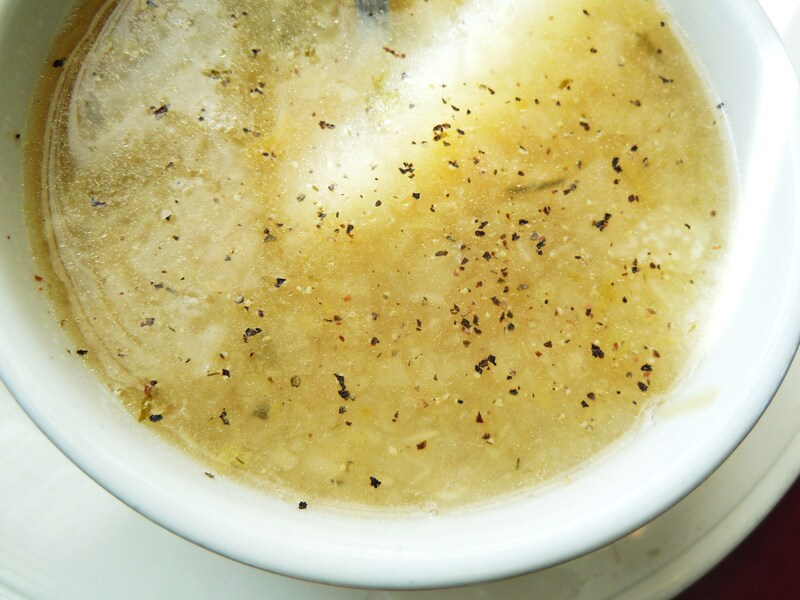 I’m a big fan of The Grad Lounge’s soup (and the corn muffins!) and the selection changes on a daily basis. Thus far, I’ve had the hungarian mushroom, spring vegetable, butternut squash, and the lentil, and although I love them all, the hungarian mushroom is definitely my most favourite, with the lentil one coming in at 2nd place. The Grad Lounge is located at 166 South Ross at the York University Keele campus. They offer a number of daily specials in addition to their permanent menu, and provide numerous vegetarian and vegan options. Happy St. Patty’s everyone! I’m decked out in some green clothes and jewelry and thinking about yummy Irish food that I unfortunately won’t get the chance to eat today *cries*. Like I mentioned yesterday, I feel embarrassed that I didn’t plan out my festivities better so instead of sharing pictures and a write-up of Irish food, I’ll just have to make do with sharing where you can get some good eats in and around the city! I promise that when I do get around to trying a bunch of Irish dishes, I’ll share and if I’m lucky (like a little four-leaf clover, ha) I’ll have tons to share for next year’s occasion. I really want to thank my two friends, Breige and Melissa, for helping me learn about Irish foods and traditional meals. Even though they both adamently say that Ireland is not known for its food per se, I still really wanted to know and they humoured me, ha. It definitely made searching for authentic menu items in the city much easier! 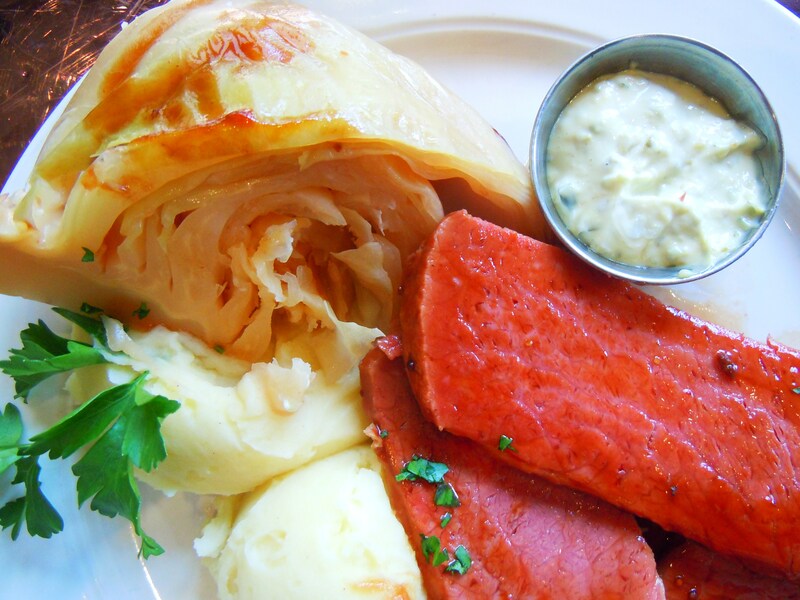 So if you’re in the mood to celebrate today, head over to these places and try out some of the Irish dishes! 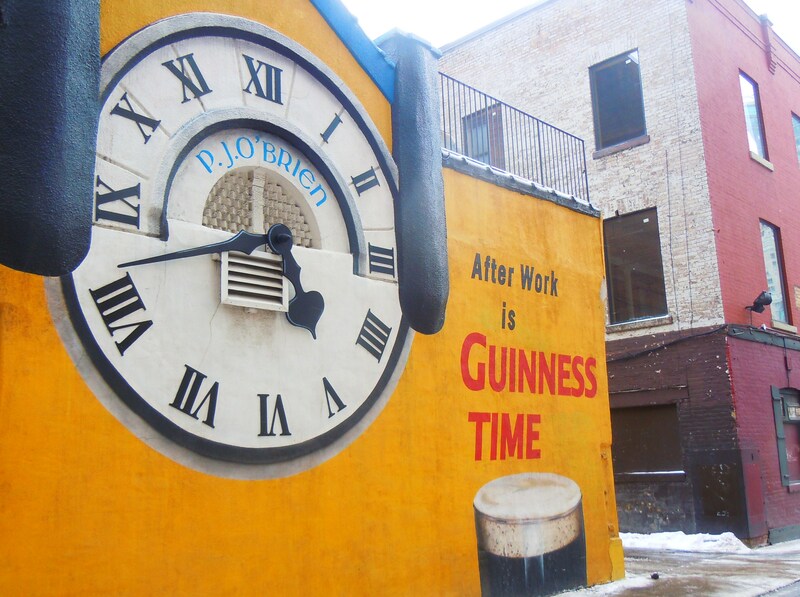 The Overdraught Irish Pub (located at 156 Front Street West) serves several traditional Irish dishes such as Irish stew, shepherd’s pie, steak and mushroom pie, boxty potato pancakes, and bangers and mash! Potatoes are huuuuge in Ireland (not in size, I mean in popularity, haha) and boxty and bangers and mash (sausages with potatoes) are just two of the many dishes that feature potatoes as the main ingredient. Irish stew is normally served with beef or lamb (or otherwise referred to as “mutton”) and The Overdraught’s version serves theirs with lamb, potatoes, and vegetables. Boxty menu items ring at $9.50 and Irish mains come in at around $13-$14. Watermark Irish Pub and Restaurant (located at 207 Queens Quay West inside the Queens Quay terminal) serves their Irish stew with a helping of both beef and lamb, accompanied by Irish soda bread! Soda bread can either be white or brown bread, and some versions also contain raisins. 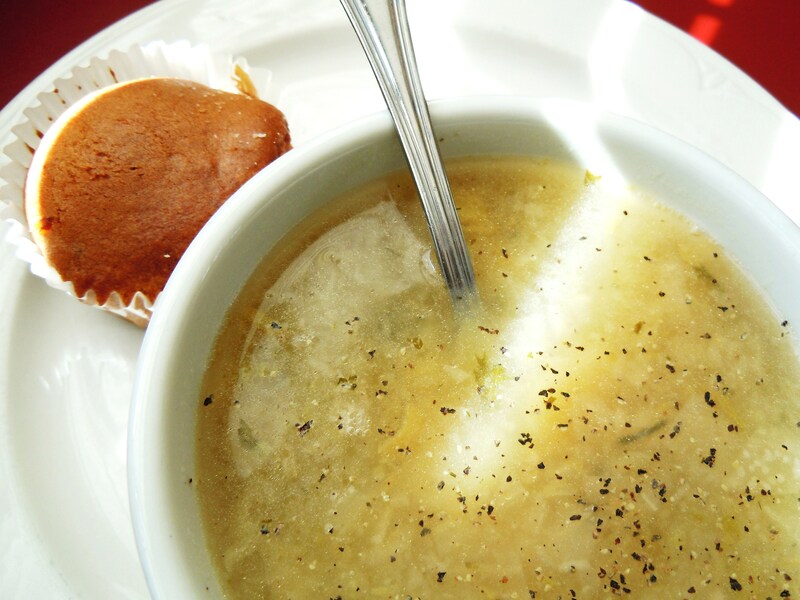 Watermark serves a rosemary soda bread with their Irish stew, along with some other dishes such as meat pies. The Irish stew main is $14. Fionn MacCool (The Esplanade location at 70 Esplanade) serves mini Yorkshire puddings in their starter menu ($9.99) and a steak and mushroom boxty in the menu of mains ($11.99), as well as plenty of meat dishes braised in Guinness! Finally, the hallmark of Irish breakfast is the traditional breakfast fry! This one is only served on the weekends (to my utter sorrow) so you can treat it as your “morning after” meal, if you know what I mean 😉 The Irish Embassy Pub and Grill (located at 49 Yonge St. at Wellington) serves an authentic Irish breakfast fry complete with eggs, sausages, back bacon, black pudding, tomatoes, home fry potatoes, baked beans, and toast! As well, they also serve a breakfast soda bread with eggs benedict and your choice between smoked salmon, bacon, or spinach. Prices come in at $11-$12. 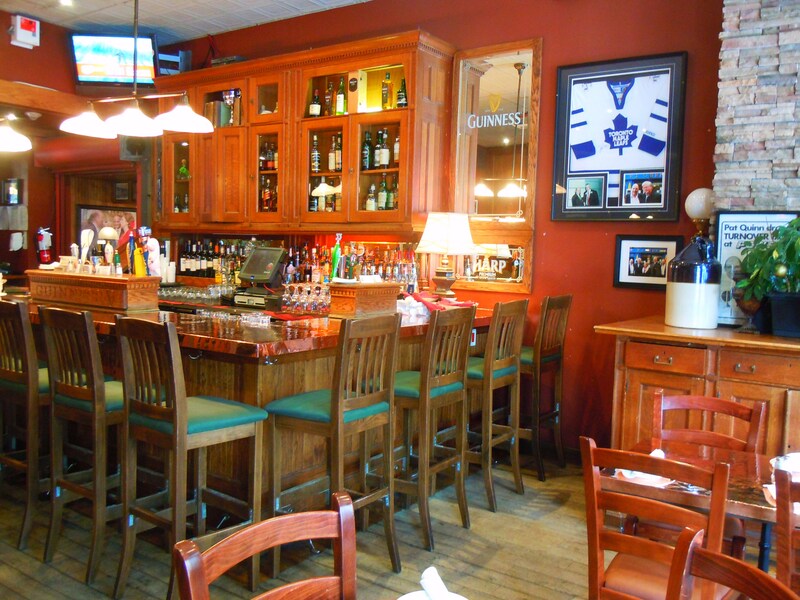 If you are in the Markham area, you can also check out Arthur’s Irish Pub (at 3621 Hwy. 7 East at the corner of Warden Ave within the Town Centre Blvd. plaza) for some live music, drinks, and food. My best friend and I went for lunch 2 years ago and we had a really good time! 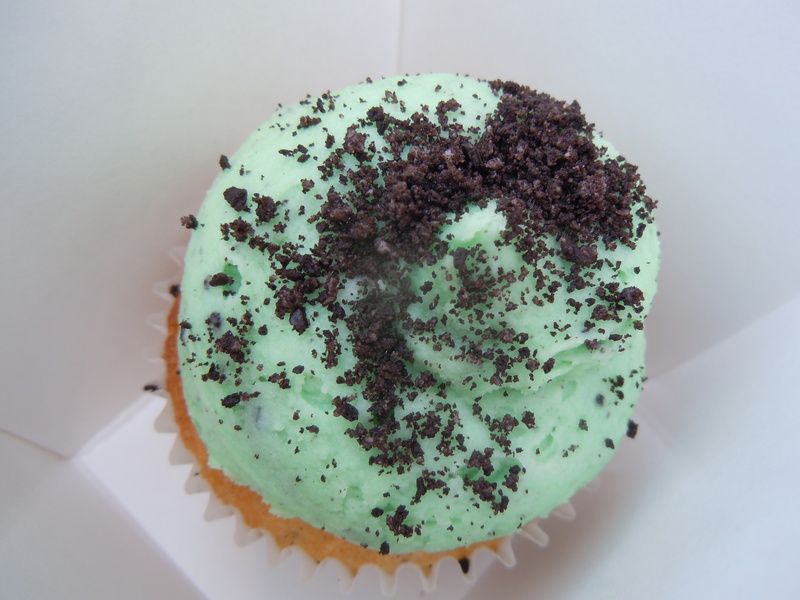 Mint Everest – Your St. Patty’s Day Cupcake from Short & Sweet Cupcakes!